Even though Spring is right around the corner and you can start to feel the warm sun rays, cooler temperatures are still in effect (which means that we can’t quite break out the sandals yet). However, you can start to transition into Spring by peeling off some of those layers and wearing clothing that are a bit lighter. This look from Charlotte Russe is a great “in betweener” in that it can be worn during cool times yet is still airy. They are also great staple pieces to have in your wardrobe. 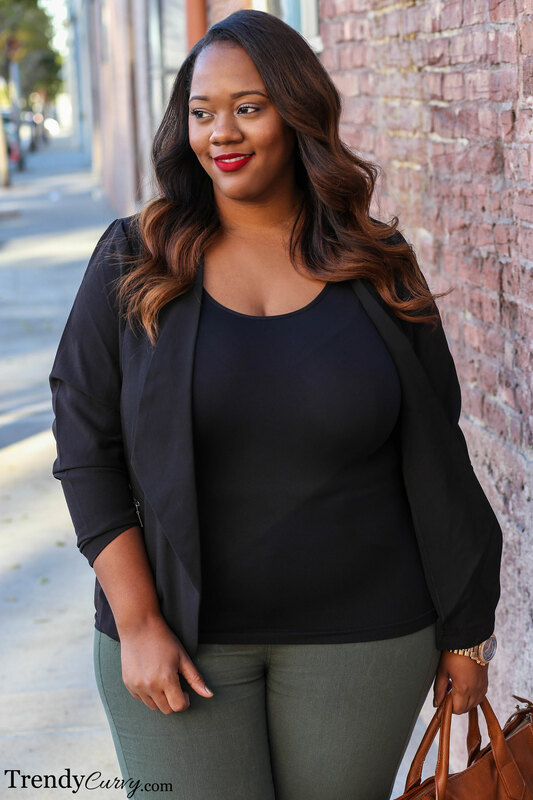 The black blazer is super versatile and can be worn from day to night. 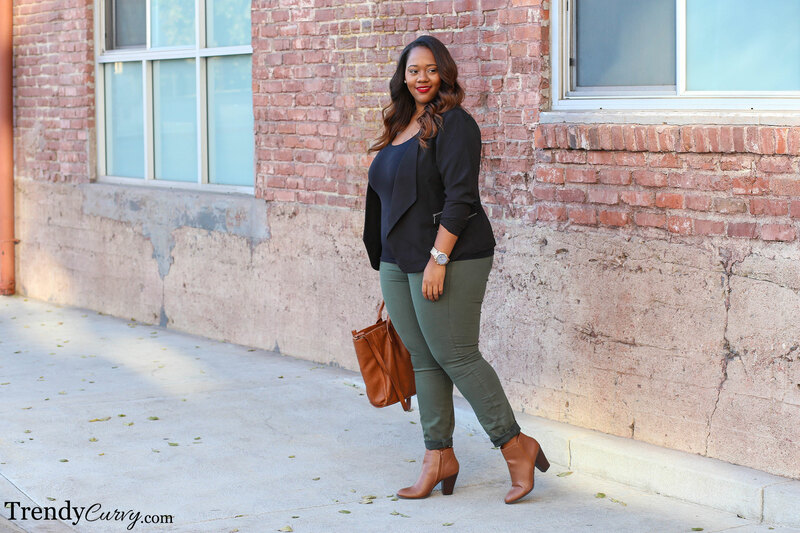 The olive jeans can be lightened up for the Spring with a white top. Also, the brown booties can be worn with a flowy maxi dress for a fun boho vibe. 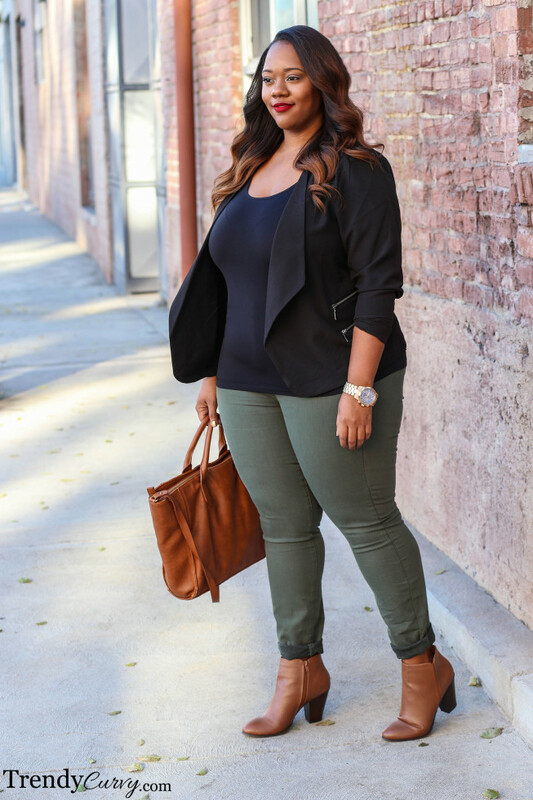 All of these pieces are transitional and that is the key to a great wardrobe. Love the BAG! Could you tell us the details?